How do you define serotonin? Do you think of it as merely the “happy” neurotransmitter in the brain? By better understanding its far-ranging actions on the body, you’ll be motivated to make sure your own serotonin levels are fully optimized. Most of us define serotonin as a neurotransmitter, or brain chemical, that plays an important role in emotional well-being. However, most of the body’s serotonin is actually found outside the nervous system, and serotonin’s role in the body extends far beyond psychological function. In fact, serotonin’s role includes physiological functions as well. These involve not only the nervous system, but also the gastrointestinal, immune, cardiovascular, urinary, and reproductive systems. In other words, serotonin is much more than just a brain chemical—it helps regulate actions throughout the body as diverse as digestive enzyme secretion to bladder control. Serotonin was first discovered in the early 1950’s as a substance that helped with blood clotting. Researchers soon realized serotonin was the same compound that had been discovered decades earlier for its role in controlling intestinal function. A short while later, serotonin was also identified as being present in the brain. Serotonin’s precise action in any body system is determined by the specific subtype of serotonin receptor it binds to. There are at least 15 well-known serotonin receptors which are located outside as well as within the brain. Each individual serotonin receptor is involved in multiple physiologic processes. -Serotonin’s brain and nervous system functions. The most common serotonin definition involves its role as a neurotransmitter within the brain and central nervous system. Neurotransmitters are chemical signals released from nerve cells that subsequently bind to specific receptors on targeted neurons or other cells. This binding to a receptor is similar to a key fitting into a lock. It temporarily changes the electrical properties of the target cells, leading to an enormous variety of effects. Serotonin made by the brain helps control a variety of psychological and physiological functions including temperature regulation, mood, anxiety, sleep, appetite, and the perception of pain (see the full list below). -Serotonin’s circulatory, heart, and blood vessel functions. It is now known that in addition to helping with blood clotting, serotonin plays many other roles in the cardiovascular system to help maintain cardiovascular homeostasis. For instance, serotonin helps monitor the contraction and relaxation of blood vessels (vascular tone), abnormalities in blood flow within the brain, and normal cardiac functions (such as heart rate, the force of heart contractions, and how much blood the heart pumps). -Serotonin’s digestive functions. Serotonin is made within the gastrointestinal system from the amino acid tryptophan. In the gut, serotonin stimulates nerve cells to initiate peristalsis, the involuntary constriction and relaxation of the muscles of the intestine which creates wavelike movements that push the intestinal contents forward. Serotonin also stimulates secretions of various substances within the intestine such as digestive enzymes. In addition, serotonin may elicit the sensation of nausea and/or abdominal pain. Altogether, serotonin plays an intimate role within the gastrointestinal tract by transmitting signals between the nerve cells of the intestines and central nervous system. -Serotonin’s hormonal and metabolic functions. According to Drs. Miles Berger and John Gray of the Department of Psychiatry at the University of California, San Francisco, the functions of serotonin also extend to the body’s endocrine (hormonal) system and metabolism. They explain how serotonin has been found to help control energy balance, metabolic rate, and blood sugar control. In addition, they show how serotonin modulates the body’s hypothalamic-pituitary-adrenal (HPA) axis, which is central to our ability to adapt and respond to stress. More research is underway to examine serotonin’s role in each of these hormonal and metabolic functions. As you can see from the examples above, serotonin is much more than an essential neurotransmitter for mood regulation. It regulates a wide range of psychologic and physiologic processes throughout the brain and entire body. Serotonin is a prime example of how the body is truly a complex web of interconnected systems which cannot be broken down into individual organ systems or components. That’s why conditions like depression don’t just involve mood. 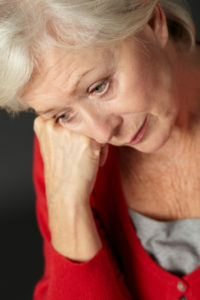 Depression is associated with body-wide symptoms and imbalances that all need to be addressed. While conventional medicine still divides the body into distinct organ systems, a new type of medicine, called functional medicine, sees the body as one interconnected whole. Practitioners of functional medicine include MD’s, ND’s, nutritionists, chiropractors, nurse practitioners, and other healthcare providers who have been trained in this very cutting edge system of medicine. How do you know if you have a serotonin deficiency and what do you do about it if you do? Please see our resources below to get answers to these important questions. 4 Serotonin Supplements to Treat Depression, Anxiety, & Insomnia Yourself! Annu. Rev. Med. 2009. 60:355–66. Serotonin Deficiency, abdominal pain, anxiety, appetite, blood sugar, blood sugar control, brain, cardiovascular, cardiovascular system, central nervous system, circadian rhythms, define serotonin, depression, depression anxiety, digestive, digestive enzyme, digestive enzymes, gastrointestinal, hpa axis, insomnia 2, memory, metabolic rate, metabolism, mood, neurotransmitter, pain, serotonin, serotonin deficiency symptoms, serotonin definition, serotonin supplements, sleep, stress, sugar, supplements, to treat depression, treat depression, tryptophan. Thank you for writing this great article about serotonin! I am going to share this with my friends.